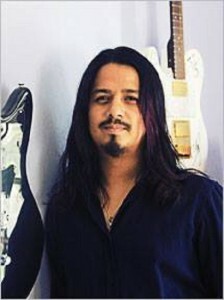 Mr. Bikrant Shrestha, MD of Silence Entertainment elucidates that being a musician and having worked with music communities around the world, especially in Europe, the basis of Silence Entertainment was to share his experiences, knowledge and passion with the Nepalese entertainment community. From the very beginning, our priority has always been of creating a platform and process to elevate the local standard, comparable or competent, to international level. Such ideals have obligated us to visualize with creativity on turnkey production and event projects, devising niche concepts with focus on delivering the technical and logistical needs of our clients and audience without any compromise on quality. with Bikrant Shrestha.